Jonathan Szczepanski first noticed his interest in making furniture during his childhood. Like many others who have a passion for woodworking, Jonathan would watch Norm Abram and Roy Underhill on PBS every weekend, as they would turn piles of rough lumber into fine furniture. 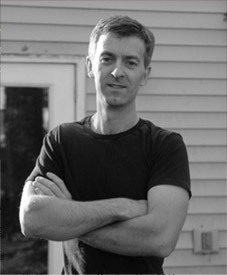 While at The University of Maryland, Jonathan studied Studio Art with a focus on sculpture and design. Working his way through college, Jonathan started doing graphic design, including two years as the graphics editor of the school's student newspaper, The Diamondback. This position led to a job at a start-up web design company New Connections, Inc. (now Pantheon Software) in Rockville, MD. During his last semester at Maryland, Jonathan's passion for furniture came to the surface during a class in Applied Three Dimensional Design. He found that designing furniture satisfied both his design aesthetic and desire to create. Following college he did not abandon his interest in furniture; Jonathan created pieces in his spare time for his family and friends - as a hobby. After working for New Connections, Jonathan worked as a visual designer for over seven years for consulting companies Xpedior and Acumen Solutions. Although Jonathan enjoyed designing web sites, applications and other interactives for Fortune 500 companies, the call of the workshop became louder and louder. 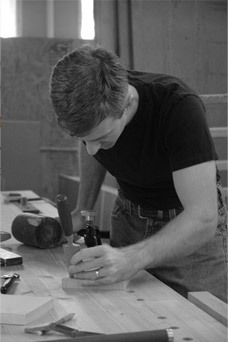 In 2005, he started constructing his workshop, and, in 2007, Jonathan left the consulting world to pursue custom furniture professionally. Living in Beltsville,MD, he now enjoys balancing both design disciplines - web and furniture design - as well as spending more time with his wife and kids.